Professor Ron Grunstein has been a consultant physician in sleep disorders for over 30 years and a pioneer in improving patient care in sleep medicine in Australia and internationally. He is currently a Senior Principal Research Fellow of the National Health and Medical Research Council (NHMRC highest level research appointment) and Professor of Sleep Medicine at the University of Sydney. Ron heads the Sleep and Circadian Research Group at the Woolcock Institute of Medical Research and the NHMRC’s Centre of Research Excellence in Sleep and Circadian Translational Neurobiology aka “Neurosleep”. As well, he is Program Leader in the Co-operative Research Centre in Alertness, Safety and Productivity part-funded by the Commonwealth Department of Industry to answer the challenge of poor sleep and sleepiness impacting on driving, work and society in general. 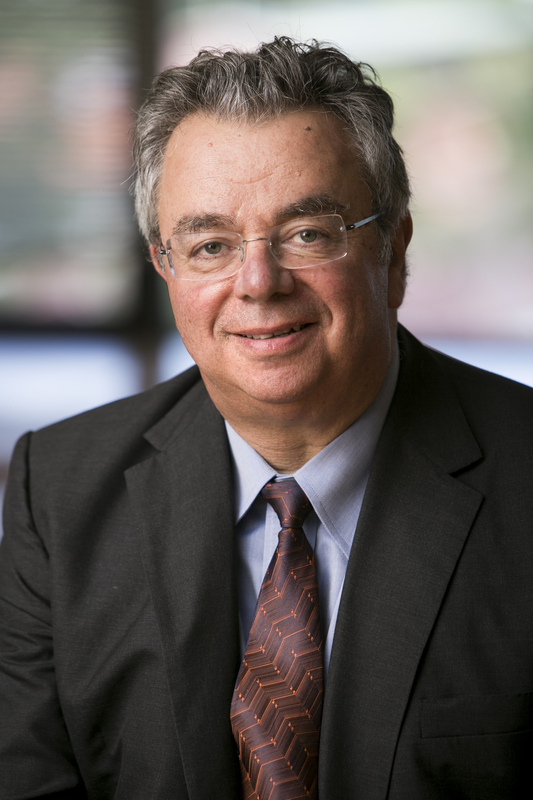 From 2007-2011, Professor Grunstein served as President of the World Sleep Federation, the roof body for sleep researchers and clinicians internationally organising successful world congresses in Cairns and Kyoto. He was awarded the Australasian Sleep Association Distinguished Achievement Award in 2010, the Kleitman Award, the premier award of the American Academy of Sleep Medicine in 2011 and the Royal Prince Alfred Foundation Medal for Excellence in Medical Research in 2012. In 2014, he received the Distinguished Professor Award from the Sydney Medical School and in 2016 has been awarded the Thoracic Society of Australia and New Zealand Research Medal. Most recently, on Australia Day, 2019, he was made a Member of the Order of Australia "For significant service to medical education and research in the field of sleep disorders". Keith Johnson BA (French), BSc(Med), MBBS, MMed (Sleep) FRANZCP graduated in Arts/Medicine from the UNSW Australia in 2002. He completed his training in psychiatry in 2012 in various hospitals in the South East Sydney Local Health District including Prince of Wales, St Vincent’s and the Sutherland Hospitals, and further training in Consultation Liaison Psychiatry in 2015. He was awarded the NSW Institute of Psychiatry Fellowship in Intellectual Disability Mental Health in 2011 where he completed placements at The Department of Developmental Disability Neuropsychiatry (3DN) and Kogarah Diagnostic and Assessment Service. Between 2012 and 2013 he did further training in Learning Disabilities with Southern Health NHS Trust in Oxford, United Kingdom. During that time, he did placements at the National Brain Injury Centre, St Andrew’s Hospital, Northampton, Northamptonshire and The National Epilepsy Society, Chalfont St Peter, Buckinghamshire. On return to Australia, he worked as a Neuropsychiatrist/Liaison Psychiatrist at Wollongong Hospital establishing a neuropsychiatry clinic and a brain injury mental health clinic. He also created and ran a 3-session psychoeducation group programme for Functional Neurological Disorder (FND). He completed his Masters of Medicine (Sleep Medicine) in 2016 and is currently completing a Doctor of Philosophy in Insomnia. He currently works at the Woolcock Institute of Medical Research in Glebe and Camperdown. Dr Johnson works at Integrated Sleep Health on Wednesdays. His areas of interest include insomnia and other sleep disorders, neuropsychiatric and neurodevelopmental disorders and the assessment and management of adults with Attention Deficit Hyperactivity Disorder (ADHD). Dr Roo Killick is a Sleep Physician, and a graduate of Cambridge and London Universities. She moved to Australia in 2001 and completed her specialist respiratory and sleep training at Royal Prince Alfred Hospital and St Vincent’s Hospital, Sydney. She has a PhD from the Woolcock Institute, University of Sydney examining the metabolic and neurobehavioural effects of sleep loss, resulting in the award of the Peter Bancroft university prize, in addition to awards at both national and international sleep conferences. She continues to be involved in sleep clinical trials as a postdoctoral fellow at the Woolcock Institute.